Fire Chief John Bradner unlocks the door to the control room of the now-defunct live-fire training unit. When I first read about this item in the Albany City Council agenda, it looked like an example of federal money being wasted. I’m happy to report that as I learned more about it, that impression proved false. The fire department wants to get rid of a “live-fire mobile training unit” it bought in 2003 for $306,500, of which $93,650 was city money and the rest, $212,850, a federal grant. 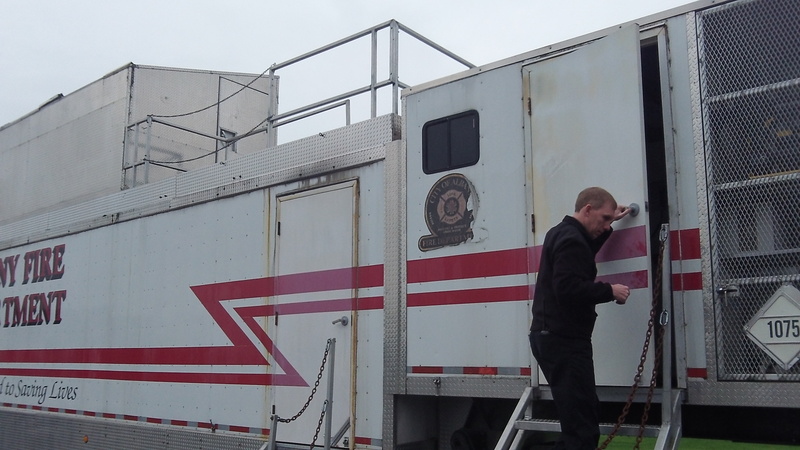 The unit is a two-story trailer that contains several fire sites fueled by propane regulated by sensors and controlled with buttons on a control board. Unused for about two years now, it sits in the department’s training yard behind Fire Station 12. The roof leaks and a plastic sheet covers the controls. Fixing the unit would cost up to $30,000. So why did the government help the city to buy a fairly expensive piece of training equipment that was used less than 10 years, was allowed to deteriorate and now is of no further use to the city for training? Fire Chief John Bradner laid the situation out for me and gave me a tour of the unit and the rest of the training grounds. The unit was useful, he said, for training firefighting recruits and proved valuable during its first few years, when the city was hiring new firefighters at brisk clip. “At the time, the MTU was the only way to provide live-fire training to our personnel, which was one of the main reasons why it was purchased,” he said in an email. Hiring has slowed down under budget constraints, and experienced firefighters get little use from continued training in the unit, whose fixed propane fires always act the same. The sensors proved balky and costly to maintain and repair. 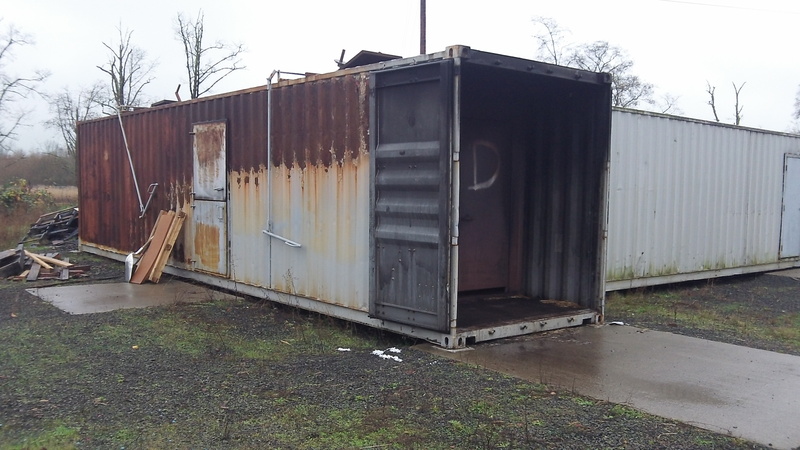 Also, the department in the meantime acquired a couple of old shipping containers and used them to stage training fires that simulated conditions of actual house fires far more realistically. This allows trainees to observe — and then anticipate on emergency callls — how fires in various materials behave inside a room. In short, the live-fire mobile training unit was state of the art and useful when it was bought, did the job for a number of years, but then lost its utility as training methods improved and the cost of its upkeep rose. So the department quit using it and spent its training money for better results. 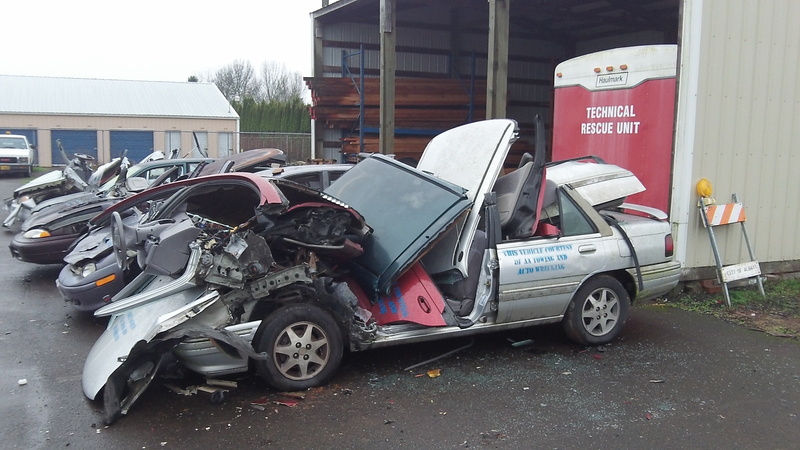 The training ground behind Station 12 off 34th Avenue is littered with donated wrecked cars pried apart in learning how to extricate crash victims. There’s a tank car for rail-accident training and a culvert-and-pillbox contraption for rescuing people in claustrophobia-inducing tight spots. Inside one end of the city bus barn on the same property, the department had a contractor build part of a house, also for practice on how to respond to different scenarios. A stereo setup simulates the noise that makes it hard for responders to hear anything inside blazing infernos. Even if you’ve never fought a structure fire, as I haven’t, just checking out the training props gives you a new appreciation of this hard and dangerous work. These containers don’t look like much but offer better training for fighting actual fires. AA Towing and Auto Wrecking donated these wrecks for training and will pick them up again.